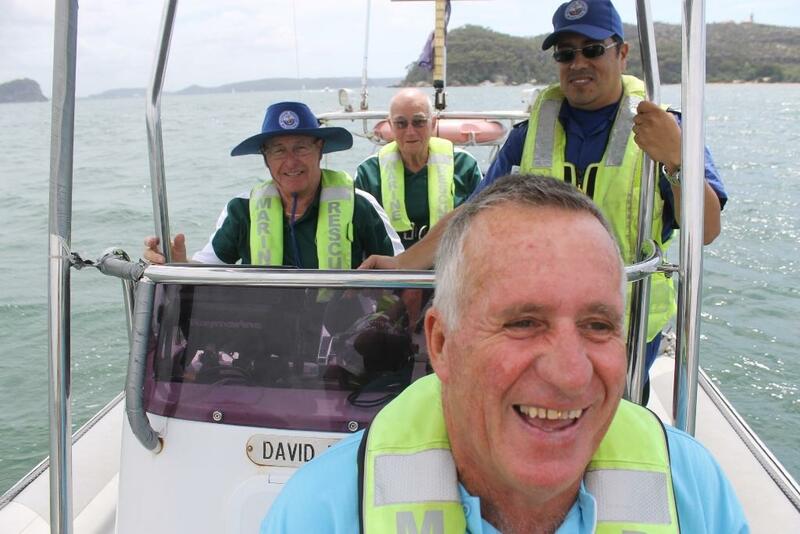 Pittwater RSL Directors William Brockhurst (front), Cec Robinson, Brian Sargeson (back) are aboard the David B. Harrison learning all about this Marine Rescue Broken Bay vessel from Jimmy Arteaga. 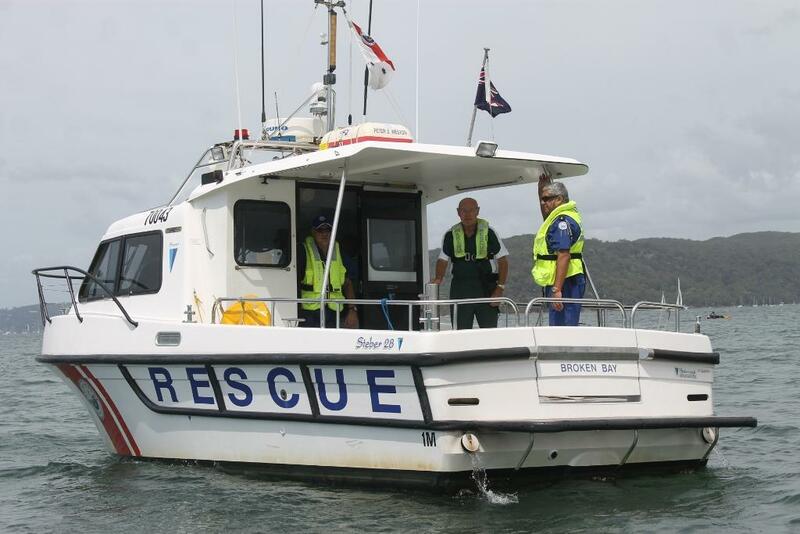 On Saturday morning Marine Rescue Broken Bay hosted five representatives from Pittwater RSL at a morning tea and to show repairs and maintenance made to two vital boats that had been afforded in part through a $5000.00 grant made to this Pittwater based chapter of Marine Rescue. This year Pittwater RSL donated over 60 thousand dollars in grants to support and further the work of local volunteer and community organisations that provide services to people in our community in a wide range of areas such as Lifeline, Marine Rescue Broken Bay and Sailability. Marine Rescue Broken Bay, a 100% volunteer organisation, requires 60 thousand dollars each year to run all aspects of the unit, and to help those who become distressed offshore. 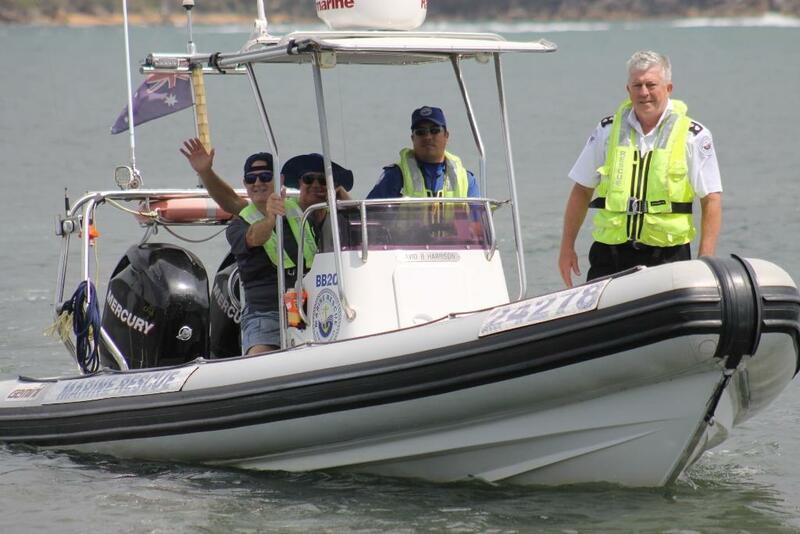 As seen in the recent page we ran honouring Roper Brown (Buster) the Water Police members attending found in their experience that they could not look after all as well as they do without the support of this organisation. 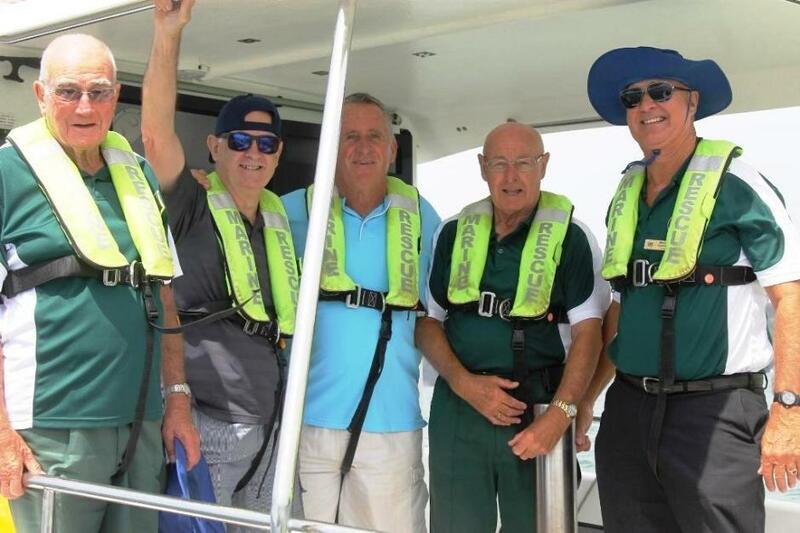 The five Directors from Pittwater RSL Sub-branch, President of Pittwater RSL, Brian Sargeson, VICE PRESIDENT, Brin Franklin, and Directors, Michael Carrodus, William Brockhurst and Cec Robinson, were then taken on Pittwater Saturday morning by members of Broken Bay Marine Rescue to experience the capability of the vessels and hear more about this vital local organisation. Unit Commander Keren Muir-McCarey was aboard the David B. Harrison with Jimmy Arteaga, explaining about this vessel of Marine Rescue Broken Bay’s Fleet – what it is used primarily for, and its capabilities as a close-inshore boat. Aboard the Peter E Weston, Victor Lawrence went through many aspects of the operations at Marine Rescue Broken Bay which, apart from all its rescue work, runs a range of Maritime Specific Courses including Radio Operation, Seamanship, Coastal Navigation and Elementary Navigation. 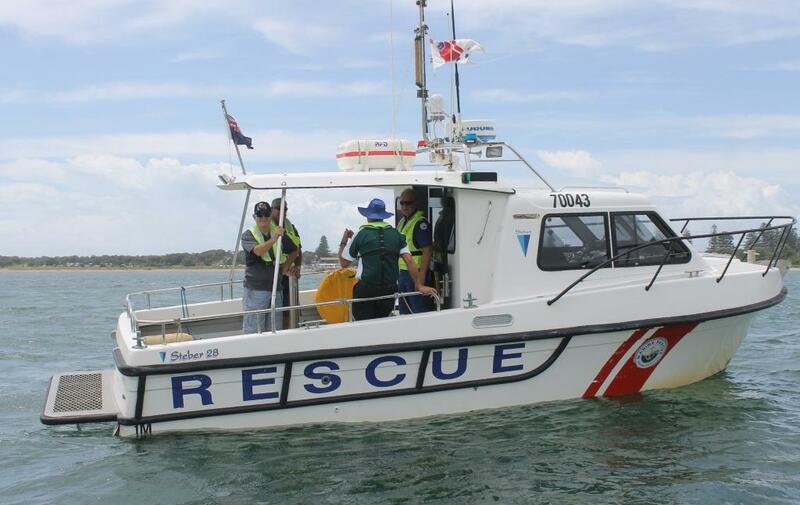 The Broken Bay unit also runs Boat Licence Courses. established to support the development of large scale Sport, Health & Community infrastructure projects. Applications for Club Grants 2015 – Local Clubs supporting Local Communities, close at 5:00pm on 30 April 2015. 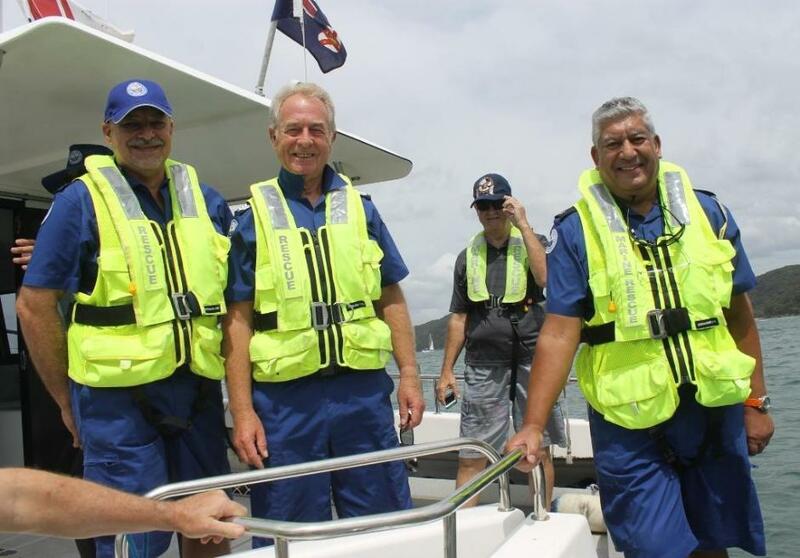 Pittwater RSL Vice President Brin Franklin and Director Michael Carrodus aboard the David B Harrison with Marine Rescue Broken Bay volunteers Jimmy Arteaga and Unit Commander of BBMR Keren Muir-McCarey (in bow). Words and Pictures by A J Guesdon, 2015.